How did the LA real estate market fare in 2017 compared to 2016? 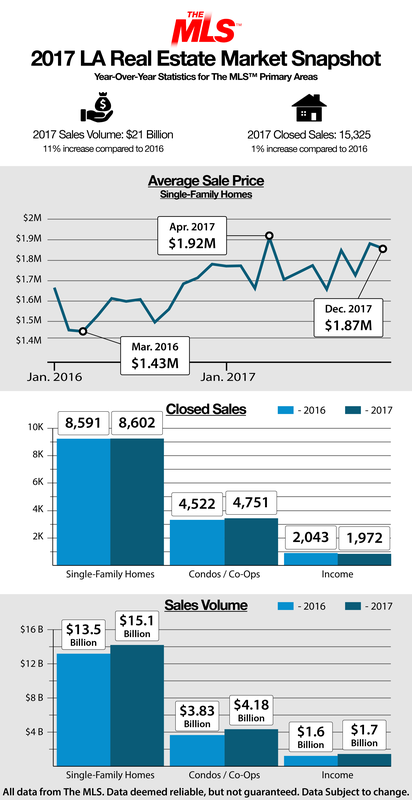 These statistics, which reflect The MLS™ primary areas, reveal that 2017 sales volume was up by 11%, whereas the total number of closed sales increased by 1%. View last year’s results here.